As your security service provider, we will ensure that you benefit from our professionalism and experience, resulting in the assurance that your interests are protected. Financial savings at the most economical rates and value added services. Unique in house security training programs and ongoing training daily. Customer service based security officers with training in manners and etiquette. Professional attire, appearance and presentation. This surpasses all city, state and federal requirements legally with the highest package in insurance and workers comp. Experienced management, best practice leaders with in depth security and safety knowledge. Proven and responsive management structure. Regional teams of experienced and knowledgeable security, safety and management professionals. Members of each team of three are available around the clock to their assigned clients. Local dispatch centers for immediate around the clock response. Customized security procedures / post orders designed by clients and security consultants for security officers. Innovative technology EasyTrack365TM power by United Security Services. Providing marked / unmarked security vehicles, golf carts, seaways and bicycles when needed. Providing equipment when needed: radios, headsets, cell phones, security cameras, binoculars, night vision goggles, first aid kits, fire extinguishers, safety cones, megaphones, metal detectors, security trailers, security booths, trespassing signs, lights and locks. 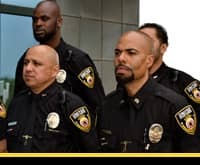 Supervisors hold a minimum of 15 years of security industry experience or police / military backgrounds. Scheduled random visits during each security officer’s shift. Managing security officers around the clock. Industry leading recruiting / background screening process. Industry leading employee retention rate.